Internet radio listeners have spoken... again! According to Brent Johnson, founder and administrator of OrganLive.com, in 2016, Frederick Hohman still comes in strong, with high ratings in the TOP 10 ORGANISTS when it comes to the most frequently rates and most highly-rated organists whose performances appear broadcast on the OrganLive.com channel. 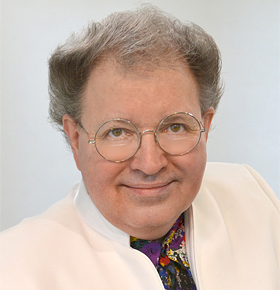 This news continues a winning streak for Hohman, who, in 2015, gained the most 5-star listener ratings (the highest possible score) of any organist heard on the internet channel, and Frederick Hohman also tied with Virgil Fox as the most frequently rated organist on the internet radio channel. OrganLive.com is a popular 24/7 streaming internet service devoted exclusively to organ performance. WOW! "Hohman has mastered and captured the true essence of Widor's legacy ... . Hohman has encapsulated the true essence of French interpretation, and not only in splendid registrations, but also in tempi that bring out the lyrical characteristic of the melodic line. ... refreshing and musically exhilarating ..."
"Frederick Hohman presents a magnificent CD and DVD set here, showcasing the great organ of Methuen Hall. Both are well programmed and contain some brilliant performances. ... Brahms' Prelude and Fugue in G minor is a definite highlight of this disc. Hohman treats this masterpiece with the respect it deserves, and produces an impressive and powerful performance. ... This 2 disc set gives a very thorough account of his magnificent organ, and includes many fine performances by this very talented organist." "A broad Benny Hill smile suffused Hohman's round face after each tour de force at the console. He raises his fists high above his head like a victorious athlete as his feet fly across the pedal board. His patter between pieces is laced with good humor and broad jokes. Yet solid musicianship is at the core of the merry man. His Bach "Toccata in F Major" was clean and lucid, a stunning performance of a magnificent piece, and he followed it with a thoughtful transcription of the Andante movement from Mendelssohn's "Italian Symphony." ... but the first of three standing ovations recalled him to the stage to play Wagner's "Ride of the Valkyries," and to top it, a meticulously correct and utterly thrilling "Toccata from the Widor Fifth," sending the crowd home on a verse of "Auld Lang Syne." writing about "Friends of the Kotzschmar Organ" Concert. "The large audience arrived in a party mood...and greeted Frederick Hohman with prolonged applause. The organist served as his own master of ceremonies, introducing each selection with an impeccable comic flair that Groucho Marx might have envied. The program, designed to show the literature most at home on his instrument, included transcriptions by Edwin H. Lemare, E. T. Chipp, and Mr. Hohman, as well as original works by Alfred Hollins, Felix Borowski, and Powell Weaver. The playing throughout was brilliant, the registrations appropriately kaleidoscopic, and the artist's command of the idiom complete." "It is easy to see how this performer could win national competitions, He is a first-rank organist. ..The performance was appropriately full of fantasy in performing style as well as form. ...This young man is musical down to his very toes. His performance was full of personality and gusto, definitely not your run-of-the-mill organ recital." "Hohman played with authority from the very start... His manual dexterity is undeniable, and his pedal technique the best you'll ever hear." "The best CD of an American organ I've heard so far"
"...charmed and beguiled for over seventy generous minutes by incredibly virtuosic readings...literal transcriptions of the complete works!...first-rate..." "This disc proves once more not only the validity of symphonic organ repertoire as legitimate concert fare, but also that Frederick Hohman reigns as one of the symphonic organ's strongest exponents.... passionate, heart-filled... spine-tingling." © Copyright 2018 Zarex Corporation. All rights reserved.